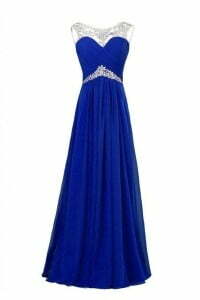 What is the color royal blue and what matching colors you can wear with it? This is a noble, original shade, indispensable for the compilation of official outfits, and also well suited to almost any skin and hair hue. pink (to make a tender look). In order not to think twice about this color matching, choose the classical combinations mentioned above. To get comfortable with the contrasts, combine royal blue with red and you will see that these two colors are meant for each other though perhaps the color combo is not one of the most popular with the people at large due to its intensity. Still a good many favor a traditional pairing like royal blue and white. Slate blue is perfect as a business suit or casual outfit or dressing for holidays at the seaside. Spring green mixed with this color allows creating a natural and extremely fresh look that works perfectly in warm season. 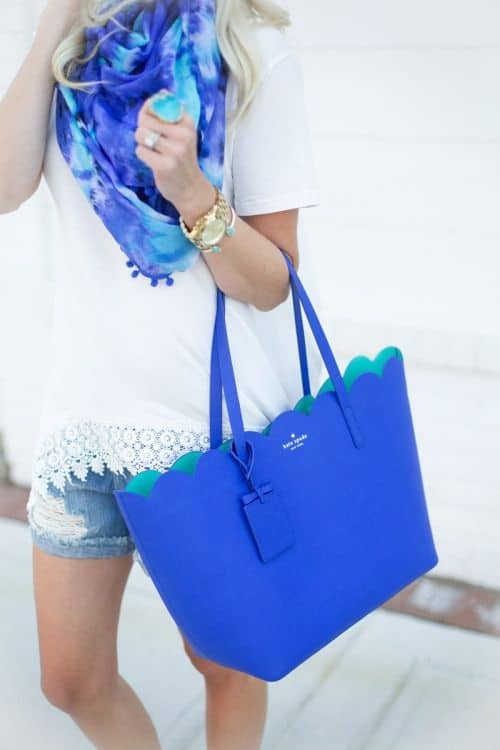 What color goes with royal blue makes monochromatic matches? 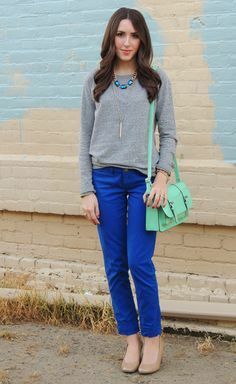 Well, light or powder blue will be a fail-safe neutral match for people with dark hair especially. 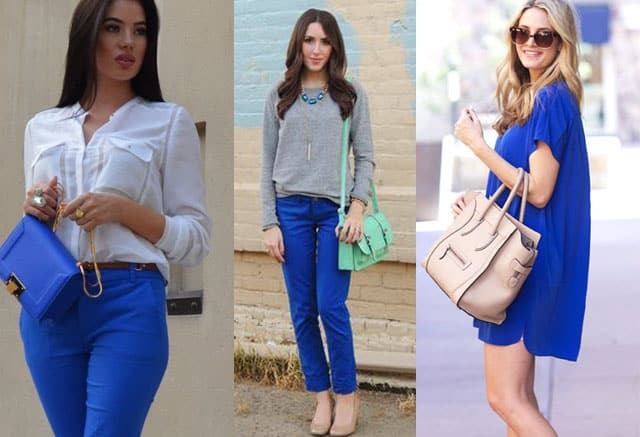 When applying different hues of blue limit yourself to 3 ones per outfit. Royal blue cigarette pants with white shirt and white pumps is bright, challenging and at the same time very romantic and soft image. 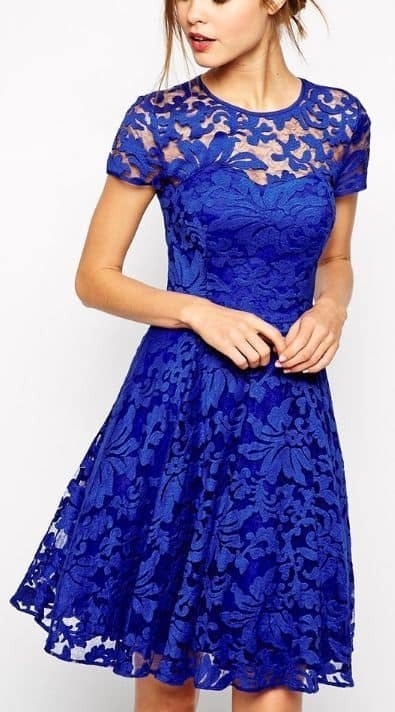 Royal blue shoulder dress with brown clutch and camel heels. Romantic and cute image.